batteries and DC power supplies. 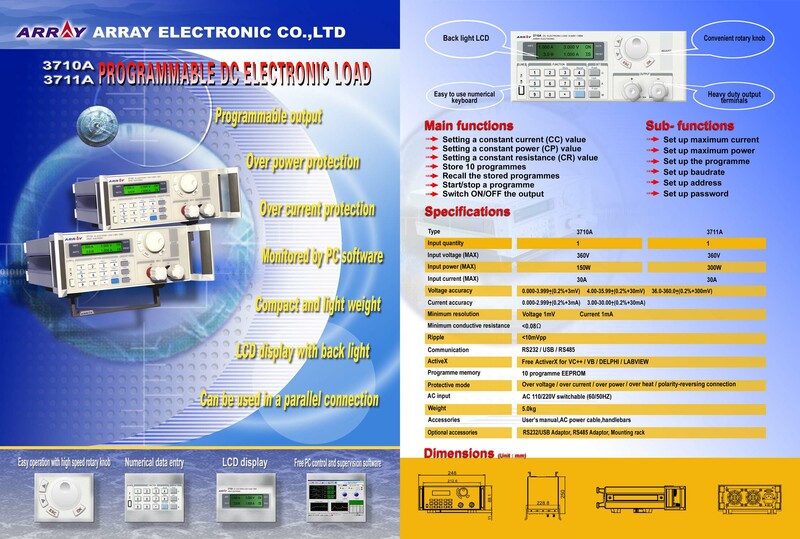 It offers constant current mode, constant resistance mode and constant power mode. The backlight LCD, numerical keypad and rotary knob make it much easier to use. Up to 10 steps program can be stored.